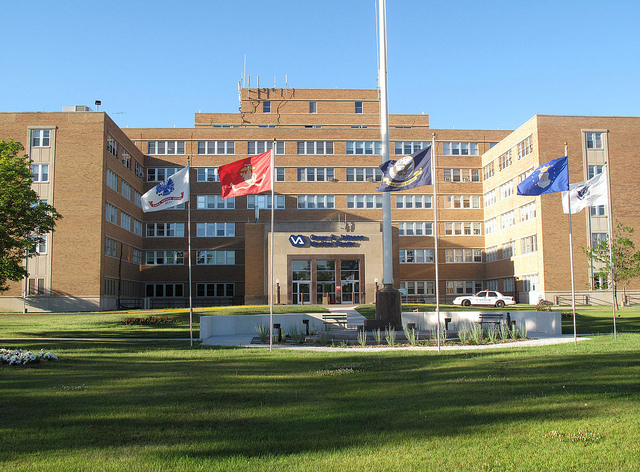 This project includes the renovation and extension of the two (2) existing 4 stop hydraulic elevators into a new single 5 stop hydraulic elevator at the Oscar G. Johnson VA Medical Center, Iron Mountain Michigan. The project included elevator shaft and elevator landings; Installation of new elevator shaft including concrete foundations from basement to 4th floor ICU. The existing building portion which housed the elevators required the 10” thick concrete roof to be shored, cut and removed using a 60 T crane. Once removed new shaft continued up to 4th floor. A new structural steel framed building was built around the shaft to match surrounding brick veneer building. Once housed, each floors elevator lobby was renovated while install of new elevator took place. Installation of new hydraulic elevator car, rails, controls and other required appurtenances; and elevator landing access route modifications required for the new elevator layout.